Vale Prestige Chauffeurs are now hiring drivers! Are you looking to start a new career? Work in a Luxury and Professional environment? Then Vale Prestige, "Oxfordshire's Top Chauffeur Company" might be the perfect fit for you. 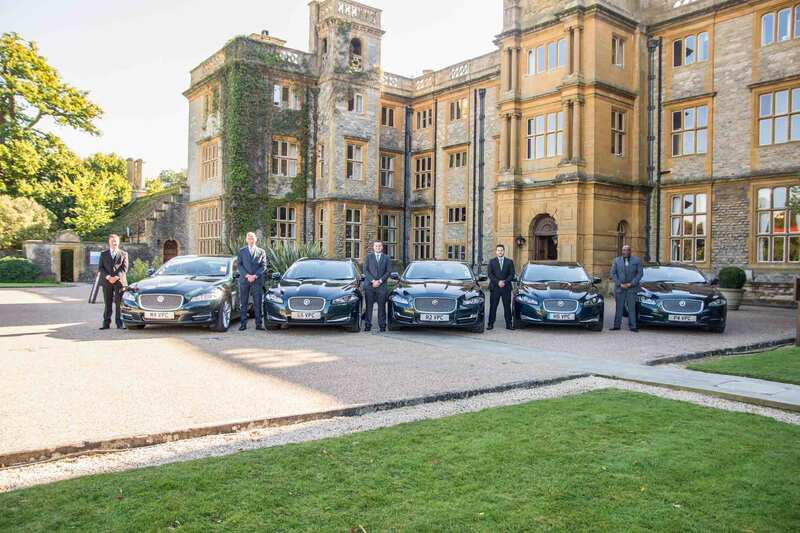 Oxfordshire's fastest growing elite private hire chauffeur Company is providing the unique opportunity to join its team of professional drivers. The role involves transporting our business & private clients and their luggage in a polite, personable and timely manner. It encompasses driving duties, customer services, administration and some heavy lifting. As an ambassador for Vale Prestige Chauffeurs, you will be the face of the company and expected to deliver an exceptional "on-time" customer experience, while maintaining a calm, professional and courteous driving etiquette at all times. · Ensure a high quality and consistent service, exceeding customer expectations. · Prepare and plan all bookings, performing route planning where necessary to ensure all collections are made on time. · M40/M4 corridor/Thames Valley & Oxfordshire area knowledge beneficial. · Be proactive in monitoring flight arrivals, recognising repeat customers, identifying special requests and ensuring a quick and seamless transfer from airport collection to the vehicle. · Monitor road traffic conditions and adjust routes accordingly to prevent disruptions and delays. · Proactively engage with passengers, anticipate, acknowledge and assist all their needs including taking their luggage to their front door, however busy and whatever time of day. · Ensure the customer is amazed with level of service and any service issues are reported, in accordance with company ISO9001 procedures. · Take responsibility for the accurate and security focused loading of all customer luggage into the company vehicle, whilst also preventing damages and loss. · To work from different locations using your own initiative. · Ensure a strong working relationship with the management and control team, communicating changes and any issues. · Dress standard and personal hygiene in compliance with uniform standards. · Carry out all necessary daily vehicle checks, ensuring that all defects are reported, and necessary action taken to ensure vehicle is always deemed roadworthy. · Be knowledgeable of and ensure the appropriate "customer site" procedures. · Any other reasonable duties which may be required by management from time to time. · Enjoy interacting with people and working as part of a fast-moving team. · Communicate clearly with attention to detail – taking pride in carrying out your work to the best of your ability. · Be able to engage and communicate with a wide range of people tactfully and diplomatically. · Work on your own initiative/priorities effectively while knowing when to seek guidance and support. · Demonstrate honesty, integrity with a "can do" attitude. · Ability to work well under pressure and handle multiple tasks. · Physically fit in order to facilitate movement of luggage. · Minimum 3 years driving experience. · Valid fully clean driving licence. · Computer/IT literate. Booking management requires technical proficiency utilising tablet-based apps, e-mail and CORDIC despatch system. · Expectancy to work between Monday to Sunday, with early starts/late finishes in line with airport operating hours. · Includes weekends/Public Holidays. · Estimated 45 hours per week. Candidates must be able to work flexible hours to provide business and private clients with unrivalled 24/7 chauffeur services. Successful applicant(s) will be subject to Vale of the White Horse District Council licensing policy regulations including, full medical examination, enhanced DBS, disability awareness training and local area knowledge test.